Well I’m afraid the Easter Bunny did not bring us loads of water, but we did actually manage to finish the month with five fish in the last seven days. 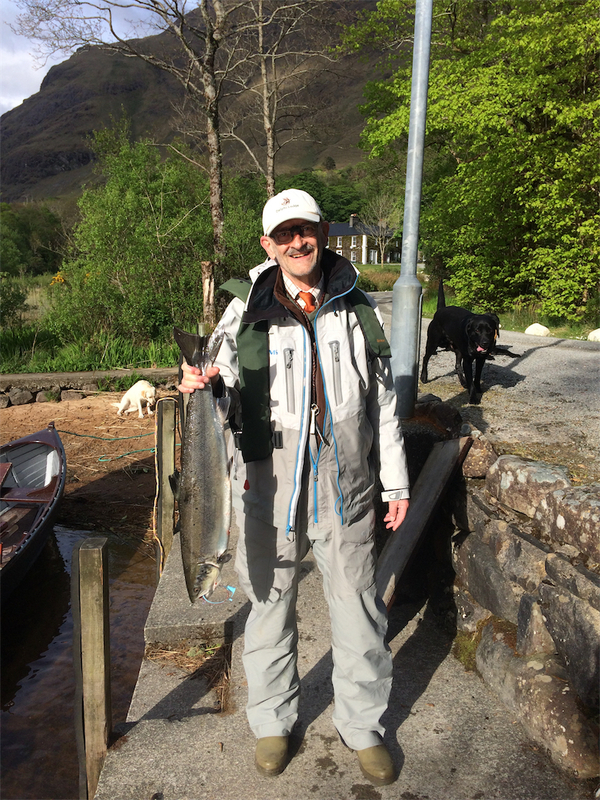 That brought our total catch for April to nine fish, which although below the 10 year average is not too bad when one considers we had the driest April since 1997. Total rainfall for the month was 58.8mms (2.31”), which for Delphi is very low. Our river has been on it’s knees for the last two weeks with the gauge being below 10 since the 19th. At the moment it’s -6 and dropping but hopefully we will see some change in the next week. 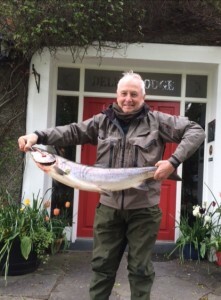 There were four fish in the first seven days of the month, all off the river. 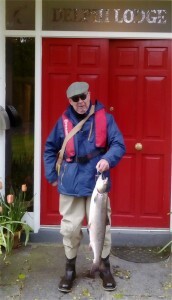 The fish were taken by Werner, Tim McCormack, Margaret Downes and Magne Eri, all weighing between 7lbs7ozs and 8lbs. The fish then went on holidays and the water dropped off. Our weather was to die for if you weren’t a fisherman. Having said that one has to appreciate weather like this in Connemara at this time of year. The fish finally came back to life on the 24th when Heinz Hoefler had a fish of 7lbs9ozs off Finlough on a Silver Wilkinson Shrimp. Tim Pettigrew had one the next day off the Turn Pool of 8lbs5ozs on a Van Beck tube with the river at 0. Dominic Cox kept the run going when he landed a nice fish of 8lbs11ozs the following day off Finlough on a Silver Cascade. 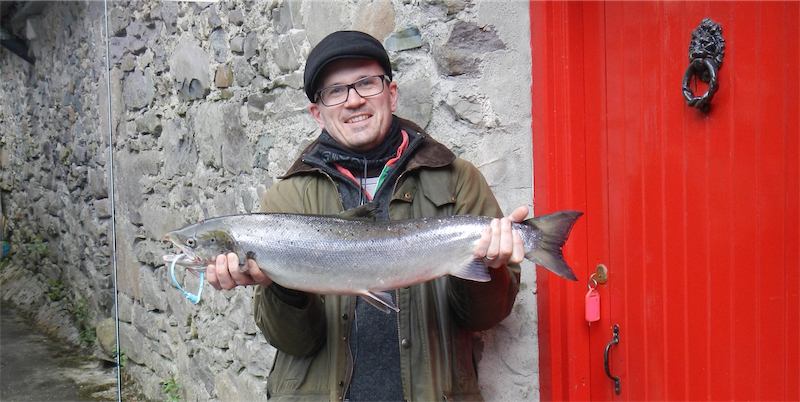 There was a break then for two days until Guy Hollis landed a cracking fish of 14lbs6.5ozs off Finlough on a Green Highlander Variant. It was nice to see a fish like this come in especially given the conditions we are experiencing. Urs finished the month off on the 30th with one off Finlough of 7lbs14ozs on a Delphi Collie. The first few days of May have been difficult, with the river being very low and the sun has also come out in style with temperatures reaching 21 degrees C. It looks like we will have to endure this beautiful weather for another few days and enjoy Delphi at it’s most stunning best.